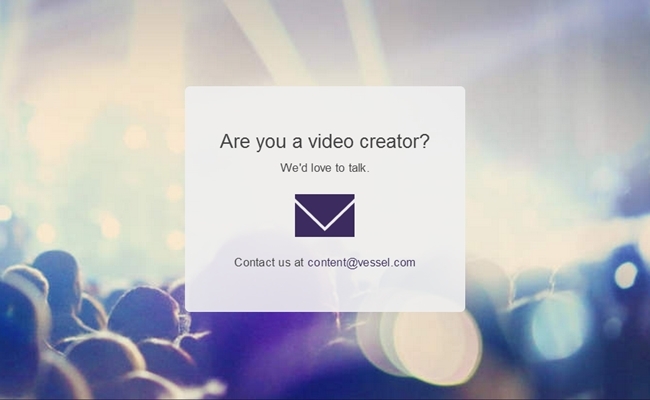 As its speculated launch draws nearer, we continue learn more details about Vessel, the online video platform started by former Hulu CEO Jason Kilar. The latest report on the stealth startup comes from AdAge, which has outlined Vessel’s apparent strategy of 72-hour exclusive windows for content from prominent YouTube creators. At the same time, multiple sources have told Tubefilter that Vessel is offering the most high-profile YouTube stars $2 to $4 million guarantees for 72-hour exclusive windows on videos they upload over a period of 18 to 36 months. Vessel has approached the top 100 to 200 content creators on YouTube with a deal that would guarantee serious revenue in exchange for a three-day exclusive on all of a creators’ videos (except for any videos that are commissioned directly by Google. Vessel’s reportedly okay with those hitting YouTube first). The company’s big guarantees are initially made possible by it’s massive $75 million funding round and will ideally become sustainable by way of three reported revenue streams: At the center will be pre-roll ads, which could offer a $25 CPM that would outstrip YouTube’s average rate. Vessel is also likely to give its partners a bigger cut of that ad revenue. Unlike YouTube, which takes 45% of ad revenue generated on its site, sources tell us Vessel’s ad revenue split is 70% / 30% in favor of the creator. Vessel will also offer a premium service believed to be similar to Hulu Plus, and we’re told the site’s creative partners will receive a combined 60% of the revenue generated from that subscription service. Each creator will then receive a cut of that 60% commensurate with the size and consumption of his or her audience. Finally, creators who generated new users to pony up for a subscription to the premium service will receive a “bounty” said to be worth between $7 and $15 per subscriber. On the technical side of things, Kilar and his team have apparently designed Vessel to look a lot like Hulu, which features a sleek aesthetic and allows users to choose the ads they wish to see before viewing their content (an online video advertising concept that Hulu popularized several years ago). 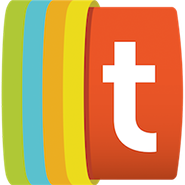 The layout will be mobile-friendly, thus appeasing the increasing number of viewers who watch online video content on smartphones and tablets. Of course, there are few potential drawbacks to Vessel’s plan and its big-money guarantees. It’s unclear how many YouTube viewers will be interested in sitting through Vessel’s ads or subscribing to its premium service instead of just waiting three days to watch the very same content on YouTube. Plus, Vessel needs the programming from a critical mass of top YouTube stars to substantiate the fee for the site’s premium offerings, and at least some of the 100 to 200 creators the company has targeted have already turned Vessel down. At the same time, this seems like a strategy that could really work. It runs on the same principle as YouTube’s Google Preferred program: Advertisers will be willing to spend more money if they know their spots will be attached to high-quality content. And since all of Vessel’s content will come from top creators, it will eliminate the problem of massive supply that has plagued YouTube’s ad rates. Even if Vessel only attracts the top 10% of YouTube superfans, that will still bring millions of viewers (and dollars) to the new video platform. Vessel’s intriguing approach will be put to the test whenever the platform officially debuts. While an exact launch date is unknown, AdAge suggests the public could get a look at Vessel sometime in December 2014. We reached out to Vessel for comment on all of the above, but they didn’t respond before the time of this writing. We’ll update this story (or write a new one) if and when we hear back. Stay tuned.